And the school year is over. 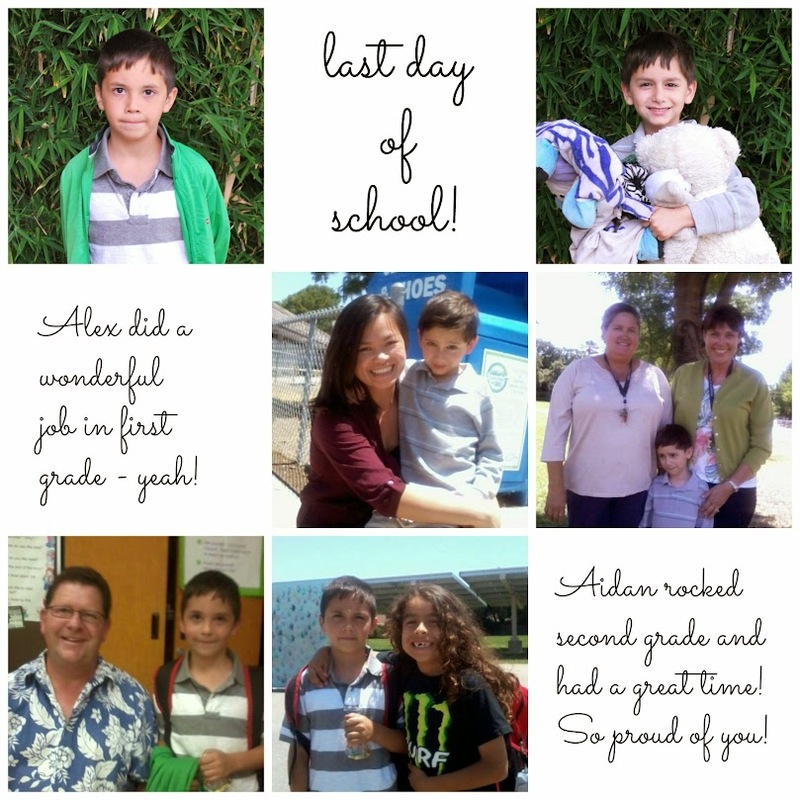 2013 is going by so quickly, and yesterday was the last day of school for my boys. First and second grade were filled with learning, laughter, tears, friends, field trips, etc. One boy wanted the same thing in his lunch bag every. single. day. And it wasn’t the autistic one. Oh no. He wanted to choose from the cafeteria offerings, giving his unsolicited opinion on the menu, such as “this pizza tastes old!” or “the chicken sandwich is yucky!”. The teachers agreed with him. In late August they will begin 2nd and 3rd grades. Until then, our days will have structure but will allow for plenty of fun, day trips, and friends. Congratulations, Aidan and Alexander, you have earned yourselves a wonderful summer! Aww, congrats. Have a wonderful family summer!